Documents released by the US government show the al-Qaida leader left a will with instructions on how to divide up his funds. HIDING IN PAKISTAN, an increasingly paranoid Osama bin Laden drafted a will directing much of his €27 million fortune to be spent on jihad after his death. New details about the al-Qaida leader’s life were released yesterday in a second batch of letters and other documents seized in a May 2011 raid that killed bin Laden at his secret compound in Abbottabad, Pakistan. The letters detail his rift with militants who later broke off from al-Qaida and formed the Islamic State, as well as plans for a media blitz to mark the 10th anniversary of the 11 September attacks. Other correspondence resonates with suspicion and fear. In a letter to one of his wives who lived in Iran, bin Laden expressed worry that her dental appointment could have allowed Iranians to implant a tracking device under her skin. “My dear wife,” he began. I was told that you went to a dentist in Iran, and you were concerned about a filling she put in for you. Please let me know in detail … any suspicions that any of the brothers may have about chips planted in any way. The Iranian dentist might have used a slightly enlarged syringe to make such an implant, bin Laden wrote in the undated letter. “The size of the chip is about the length of a grain of wheat and the width of a fine piece of vermicelli,” bin Laden said. He asked her to recall the exact date of her dental work, “also about any surgery you had, even if it was only a quick pinch”. In another letter, bin Laden warned about using safe methods for moving money. “It is important to get rid of the suitcase in which the funds are delivered, due to the possibility of it having a tracking chip inside it,” he wrote. He said that funds should be shuttled by vehicle but only on cloudy days — an apparent reference to avoiding a US drone strike. One document is a signed, handwritten will that intelligence officials suspect was written before bin Laden’s departure from Sudan in 1996. He claimed he had about €27 million that he planned to divide among some relatives, but the bulk was to be used “on jihad, for the sake of Allah”. It was not clear if bin Laden actually had access to so much money, if he shared the will with anyone, and if his instructions were carried out. Bin Laden’s father ran a successful construction company in Saudi Arabia, and the will noted that €11 million of the total was from his brother on behalf of the Bin Laden Co. The newly released materials reveal an al-Qaida network that was sometimes disorganised behind the scenes and struggling to keep its fighters unified, according to two senior intelligence officials, who spoke only on condition of anonymity to brief reporters on the documents. The officials said they portray a leader who was aware of his group’s hardships in the field, yet appeared not to fully understand what his organisation could actually accomplish. Abu al-Faraj, head of the medical unit for al-Qaida in the Islamic Maghreb, wrote to bin Laden complaining about medics, who only received a one-month training courses at jihad posts. Note the great shortage of specialists, which in some cases makes recovery time longer … and in some cases, injuries that normally would not be fatal, become fatal to the mujahidin. There is no mention in the documents to indicate how bin Laden got to the compound in Abbottabad, but one hints that he was clearly tired of living there. I say that the latest time we can stay with our present companion brothers is the tenth anniversary of the attack on New York and Washington, after a few months from now; or at the end of this year, 2011. He was killed before the anniversary was reached. Al-Qaida was planning a media blitz to mark the anniversary. The group proposed reaching out to certain media outlets to arrange media coverage, but there was no discussion of a planned attack for that day. Several documents detail a running disagreement between bin Laden and al-Qaida’s affiliate in Iraq, which morphed into the Islamic State. Bin Laden disagreed with the level of brutality, such as beheadings, that the affiliate was using and was opposed to IS leaders’ bent on declaring an Islamic State — something bin Laden argued would fail because it did not have enough popular support and could not shoulder the burdens of governance. “It is a must to stop any reason that might lead to the spilling of Muslim blood,” he pleaded with his brethren. We must not get overwhelmed by the war, its atmosphere, conditions, hatreds and revenge that might mislead us. Email “How Osama bin Laden wanted €27 million fortune to be doled out after his death”. 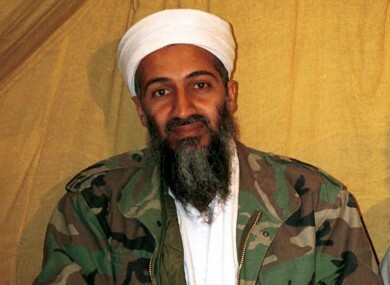 Feedback on “How Osama bin Laden wanted €27 million fortune to be doled out after his death”.